Thank you to those who came along to Jerome Kavanagh's parent workshop. As well as learning a little about his instruments and the Maori myths and folklore that are an important part of his work, we were given an interesting introduction to our new school haka. Jerome had spent some time working with our children discussing our local area, what we care about and who we are at Bromley. 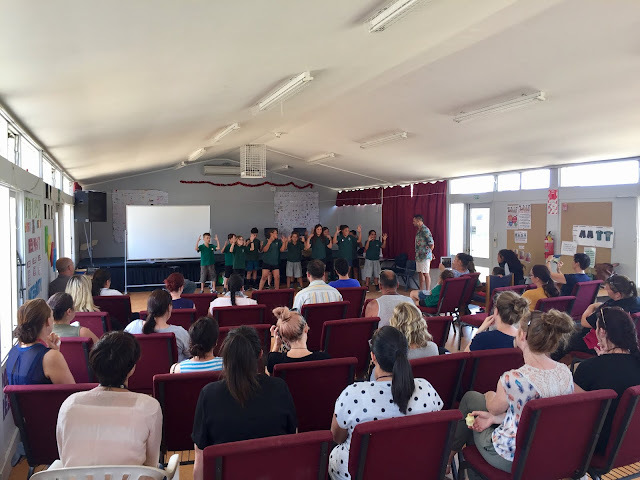 Many of the children's thoughts around this were included in our new haka in some way, including the growth of our students, the local rivers and the Port Hills over looking our school. The haka is still in early stages of development, but the children are so excited to have had a part in creating it and look forward to performing it with pride when completed. Please visit Jerome's website if you would like to learn more about what he does. I like the new haka and it's cool to see a lot of people doing the haka and by the looks of it Jerome teach them how to do that. I like how a lot of those people are are from my class koru1.